Sequins & Pearls Communion Dress. 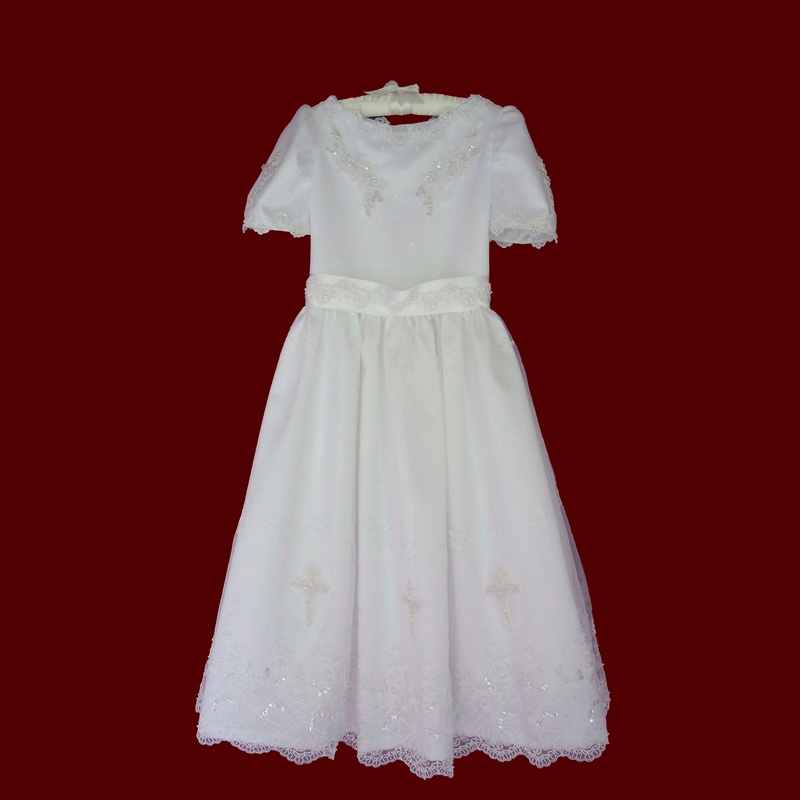 Hail Mary First Communion Dress With Embroidered Crosses And Beaded Lace. 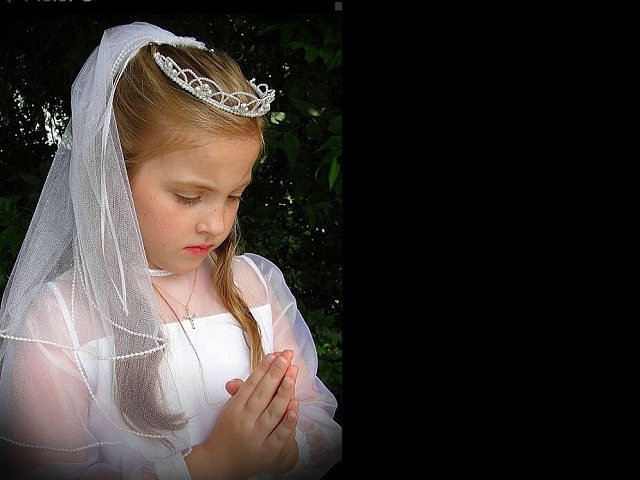 Hail Mary Satin & Embroidered Crosses & Heart Organza First Holy Communion Dress. Beaded Satin & Sheer Organza First Communion Dress With Rosebud Trim. 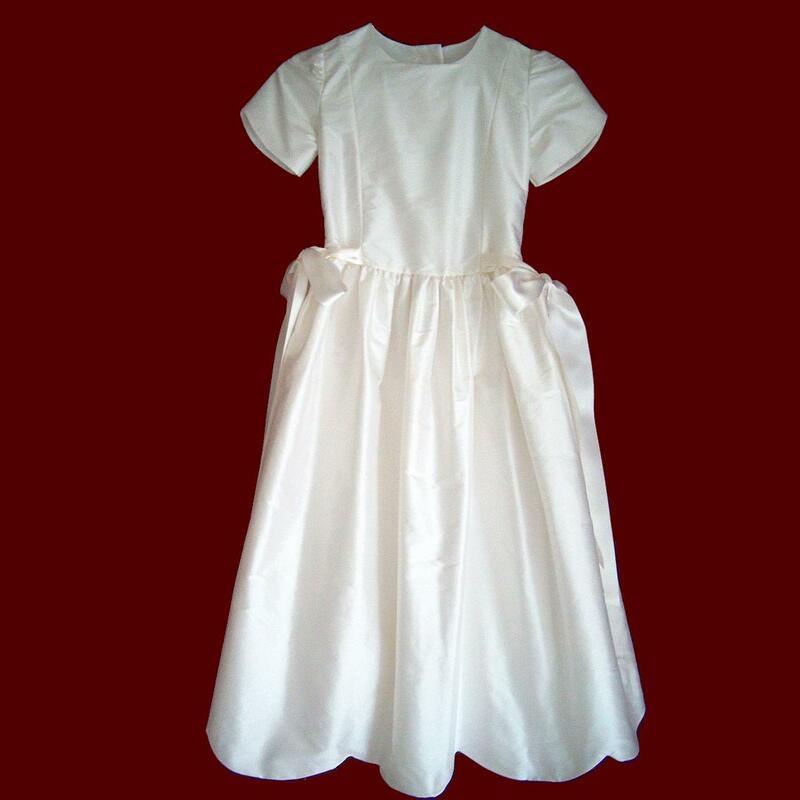 Organza With Crosses First Holy Communion Dress. 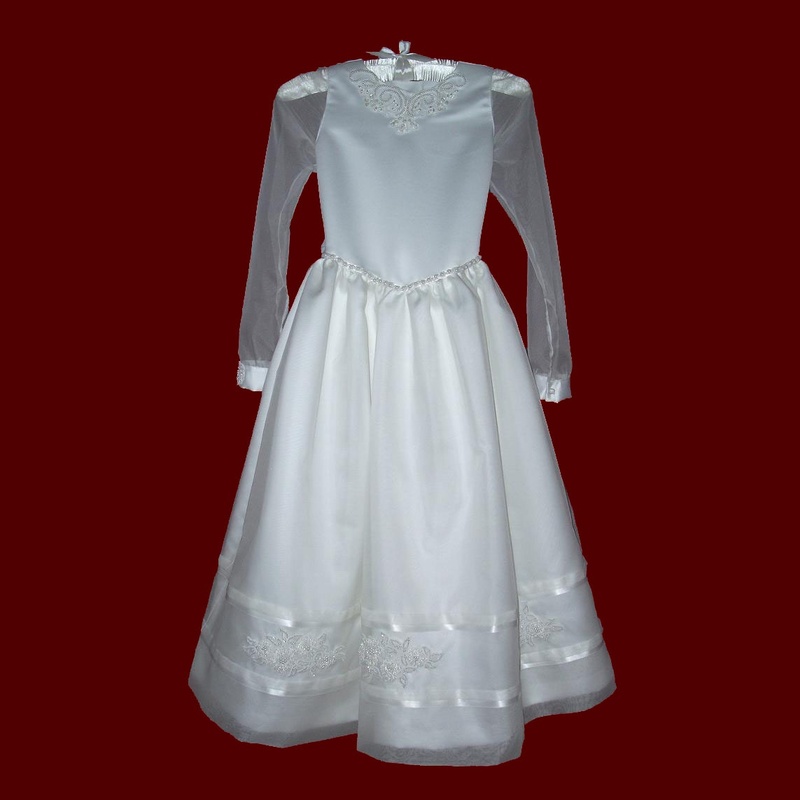 Embroidered Organza With Crosses & Angel Sleeve Communion Dress. Embroidered Floral Organza With Sheer Bodice Communion Dress. 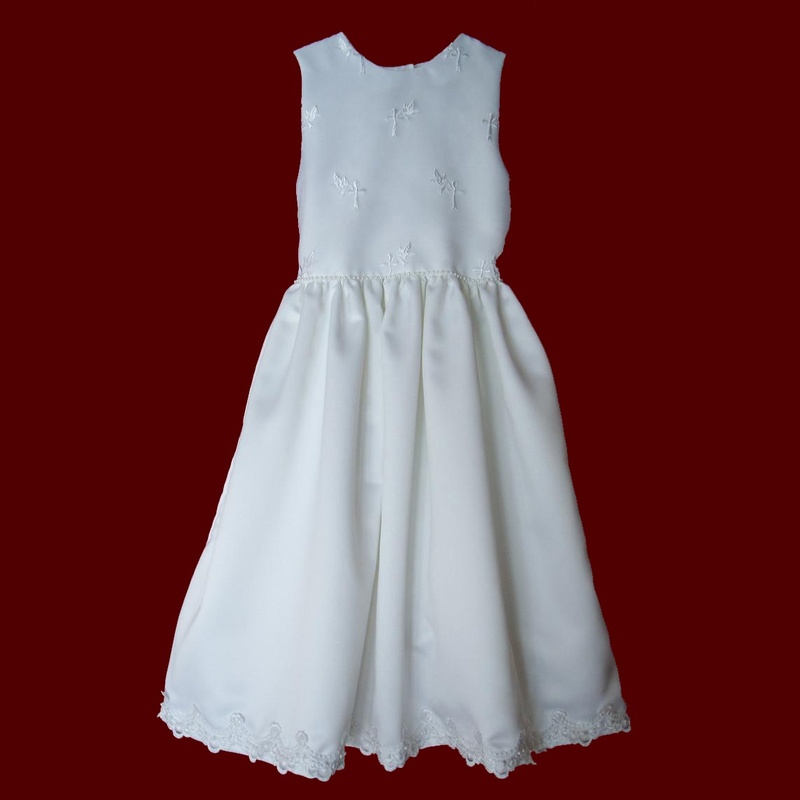 Sleeveless Organza With Crosses Communion Dress. 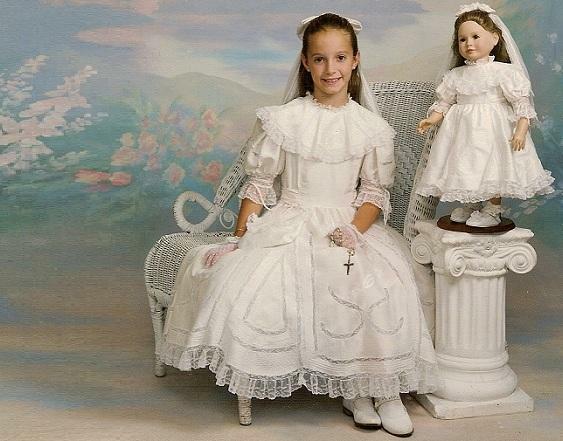 Embroidered Crosses Organza With Sheer Bodice & Sleeves Communion Dress. 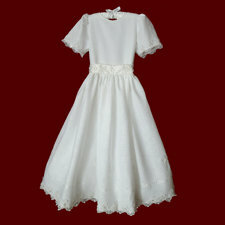 Allover Simple Cross Embroidered Organza Communion Dress. 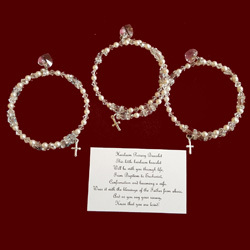 Beaded Netting & Peau de Soie Communion Dress. 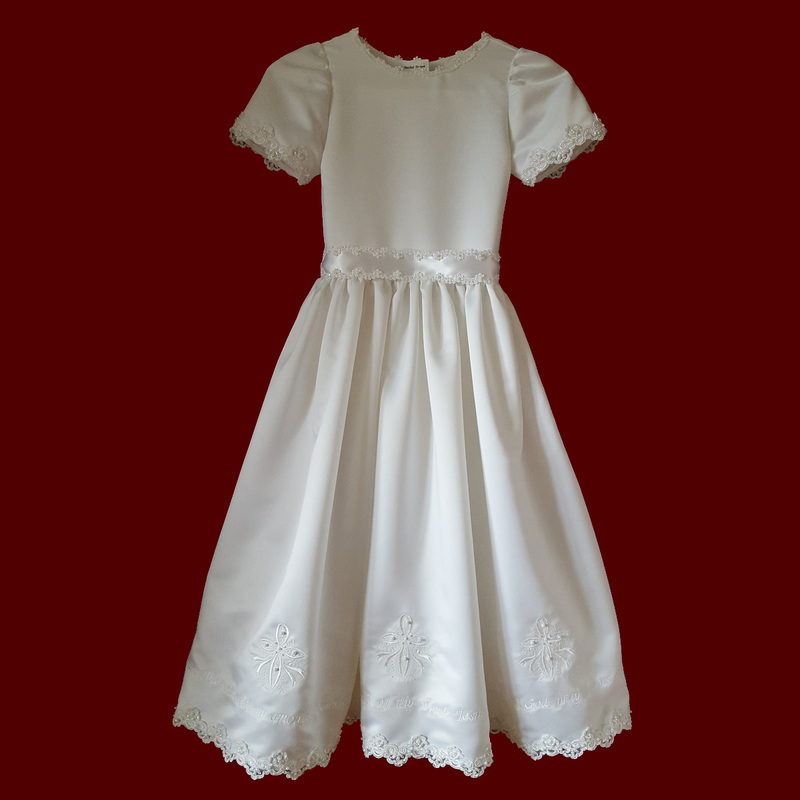 Silk & Sheer Organza Communion Dress. 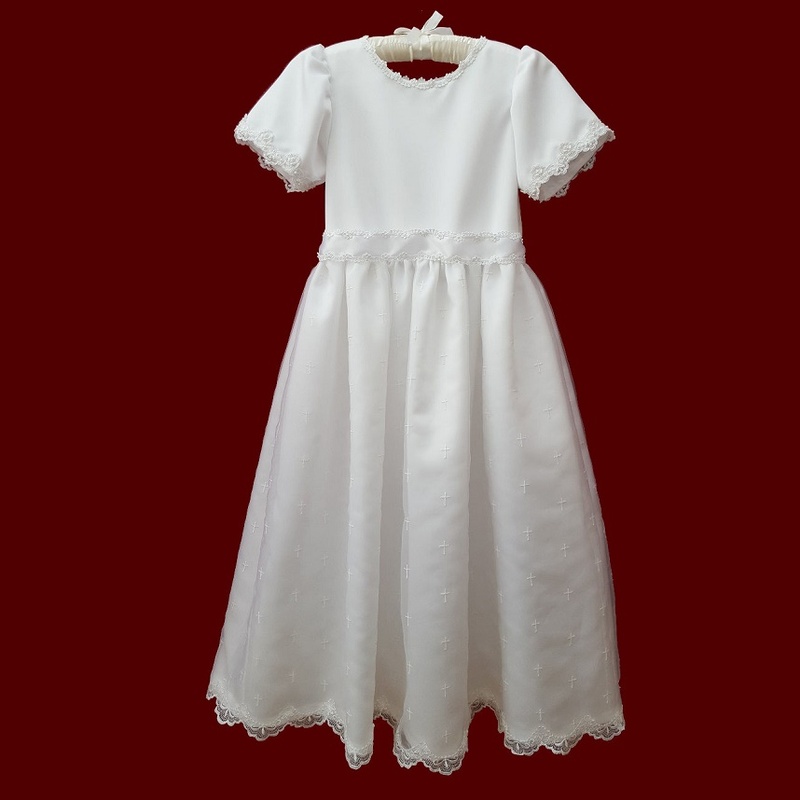 Silk Organza With Duchess Satin & Beaded Trim Communion Dress. 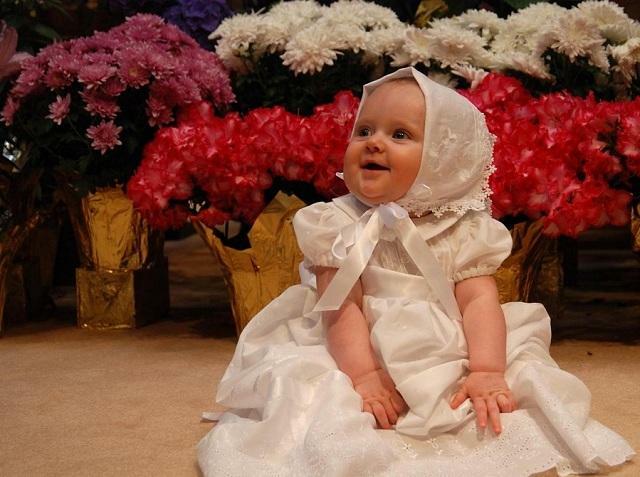 Silk Dupione With Beaded Trim Communion Dress. Silk Communion Dress With Sheer Embossed Detail & Beaded Trim. 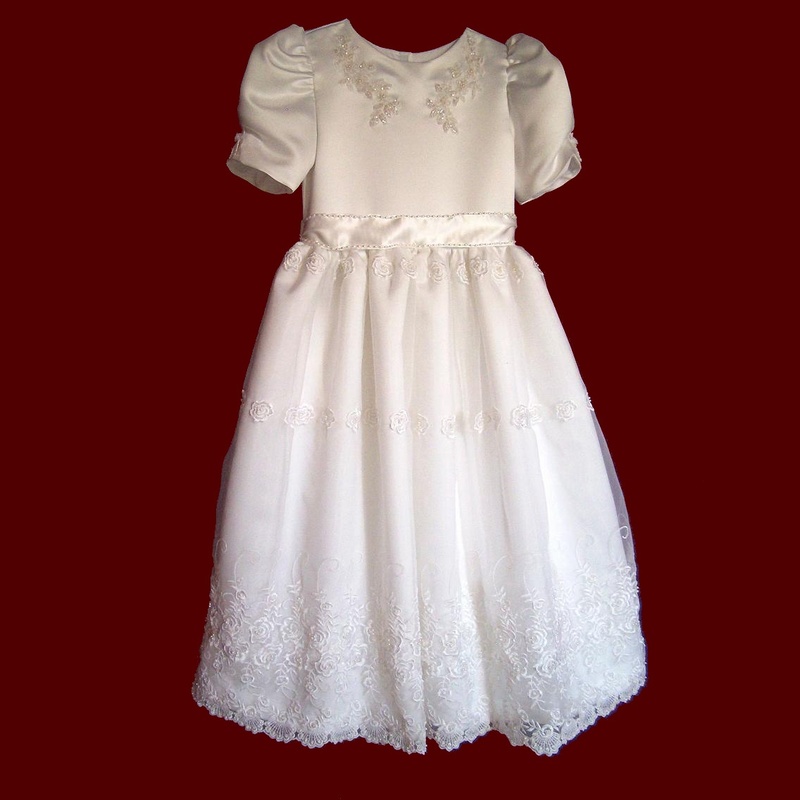 Tiered Georgette With Beaded Floral Trim Communion Dress. 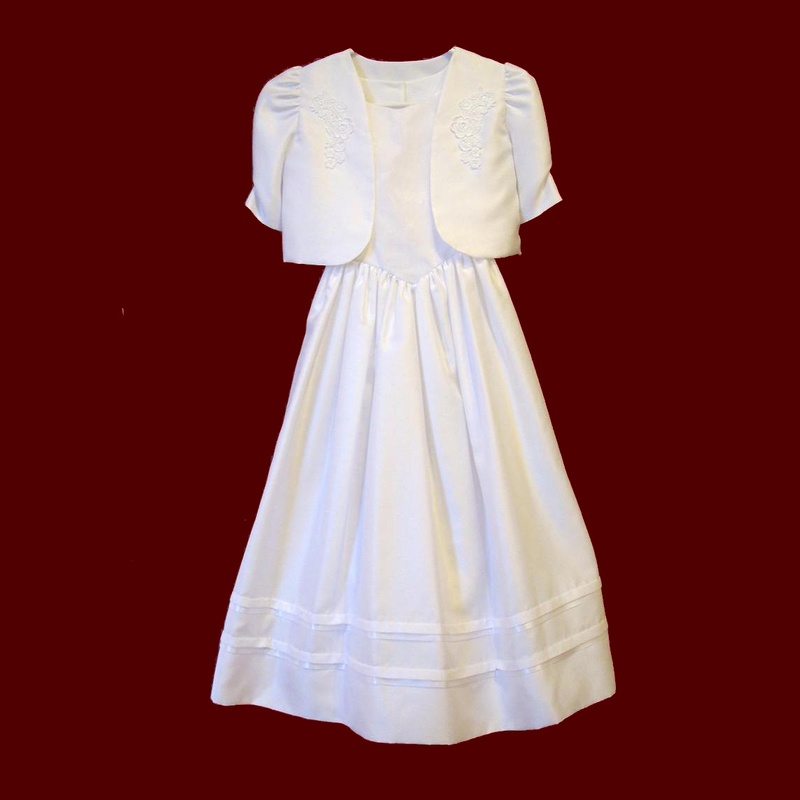 Embroidered Cross With Dove Communion Dress With Angel Sleeves. 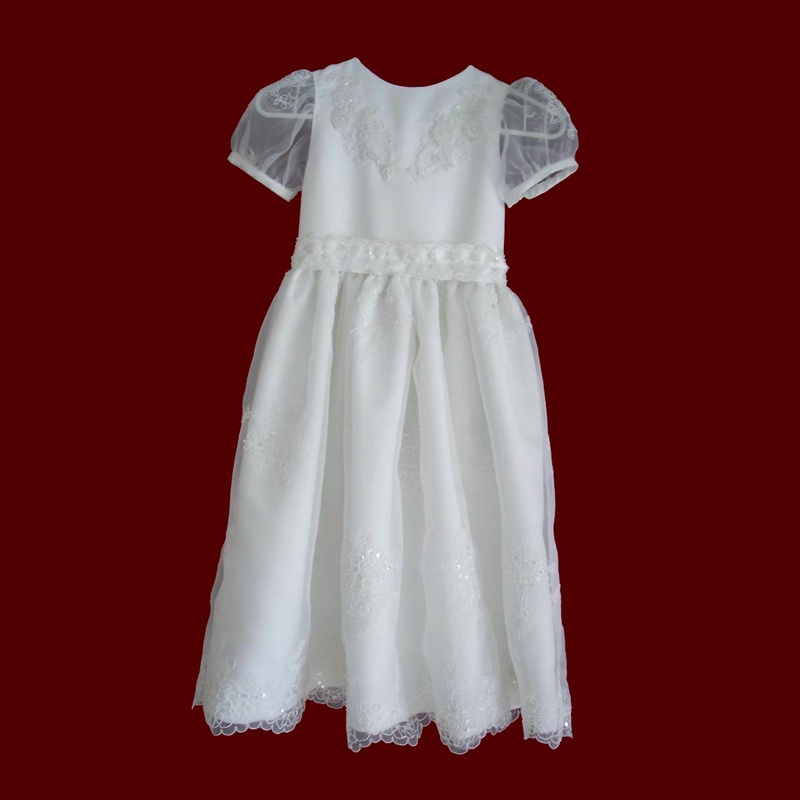 Embroidered Crosses Organza Communion Dress. Embroidered Beaded Communion Dress With Crosses. Rosebud Embroidered Organza with Floral Inset & Beaded Lace Communion Dress. Beaded Organza With Lace & Satin Communion Dress. Duchess Satin With Embroidered Organza Communion Dress. 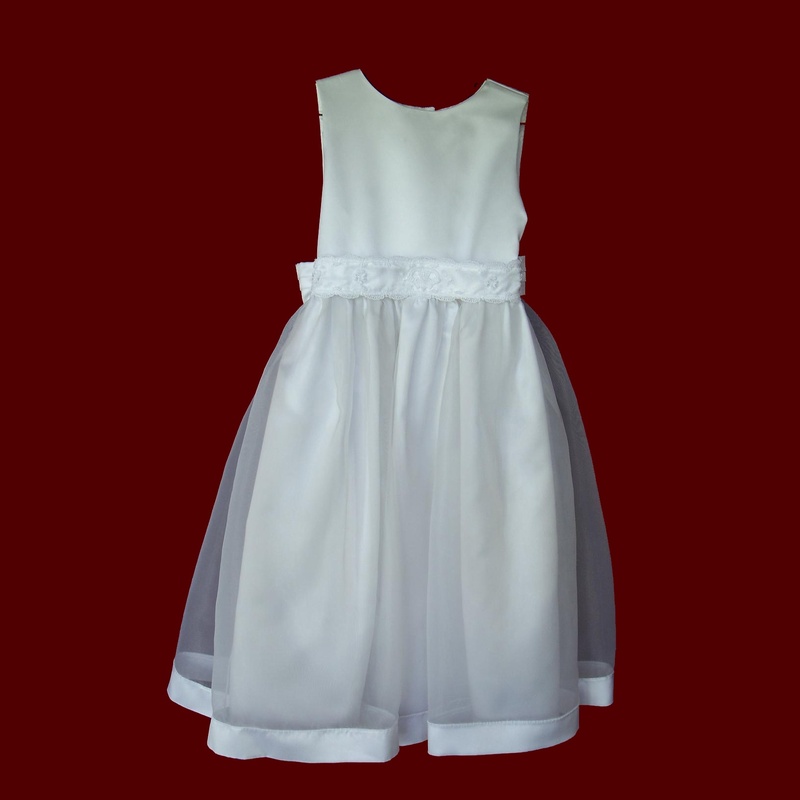 Sheer Organza With Flowers Communion Dress. Scalloped Organza With Crosses Communion Dress. 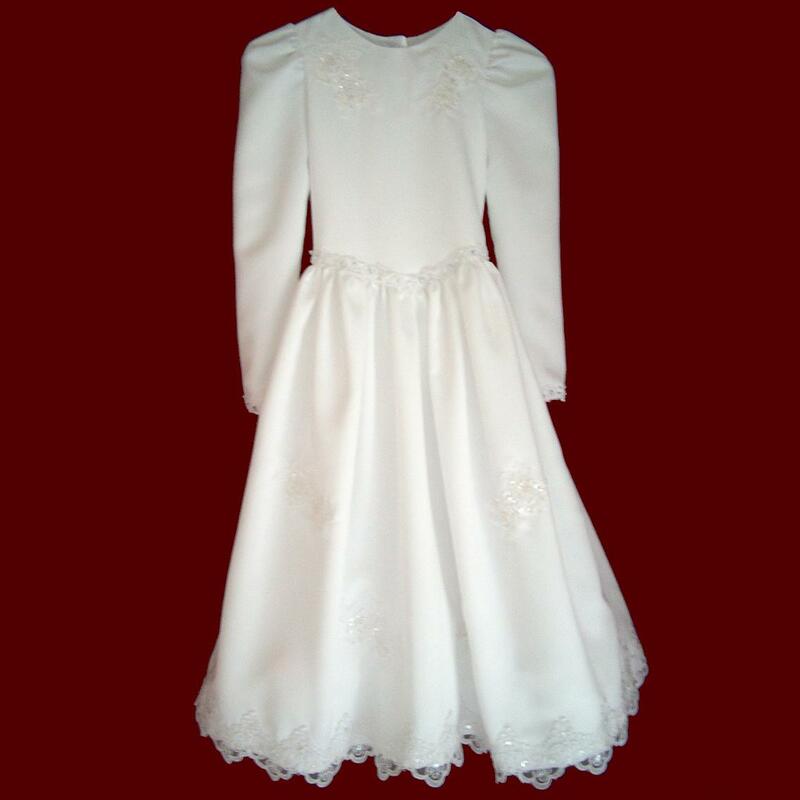 Beaded Organza & Peau de Soie First Communion Dress. 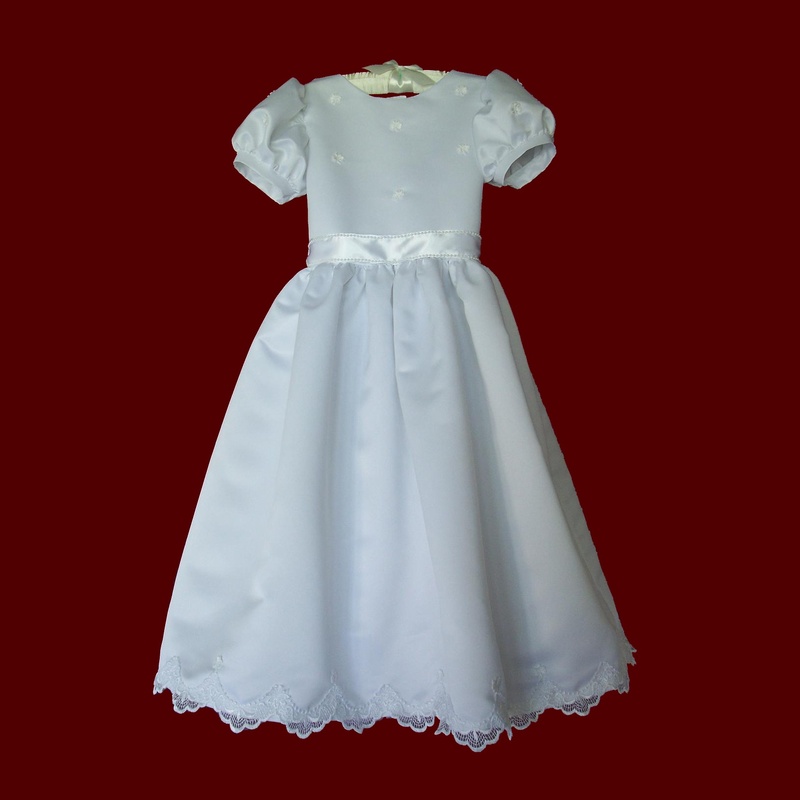 Satin With Beaded Trim Communion Dress. Beaded Satin With Chiffon First Holy Communion Dress. 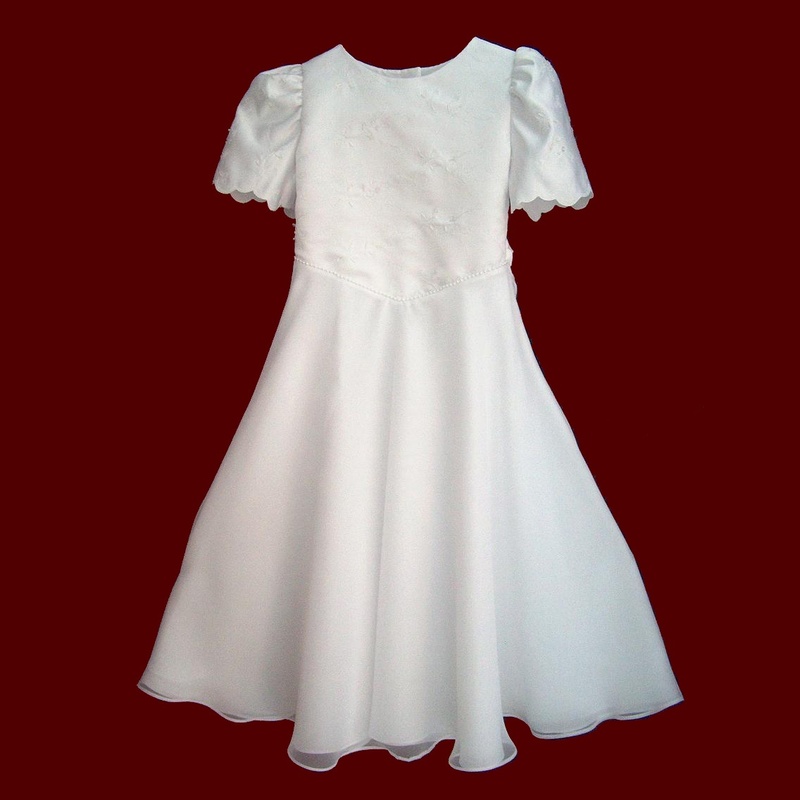 Chiffon & Peau de Soie Communion Dress. 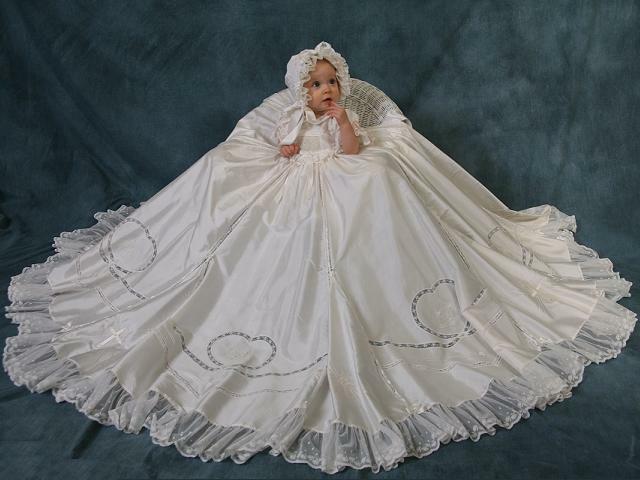 Silk Dupione With Organza Skirt Communion Dress. Silk Communion Dress With Lace Scallops. 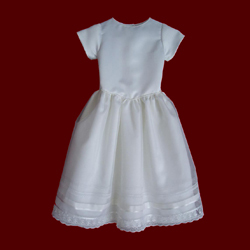 Silk Dupione Scalloped Hem Communion Dress. 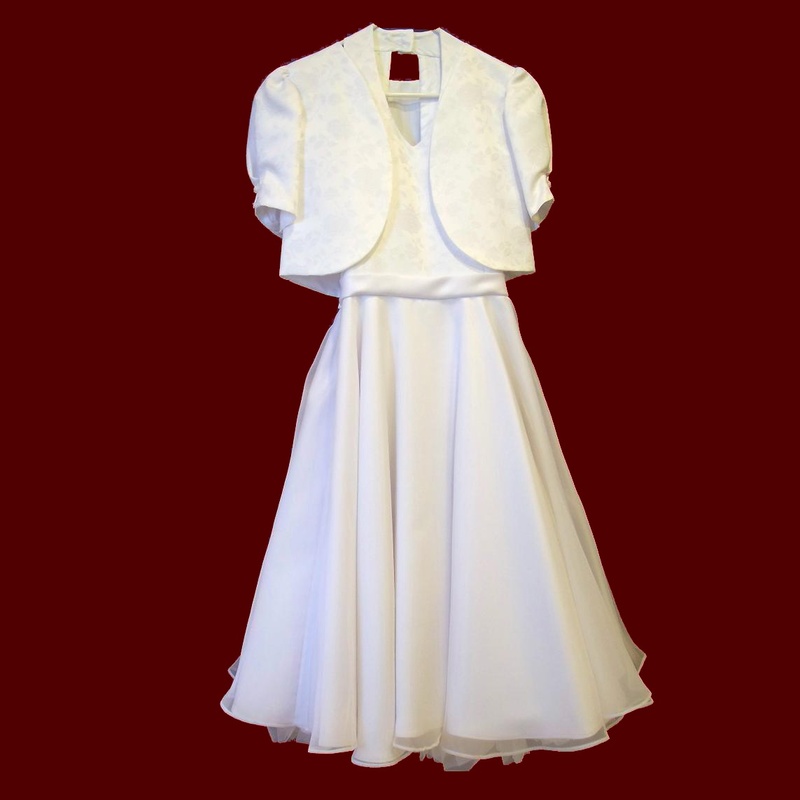 A-line Sleeveless Communion Dress With Optional Jacket. 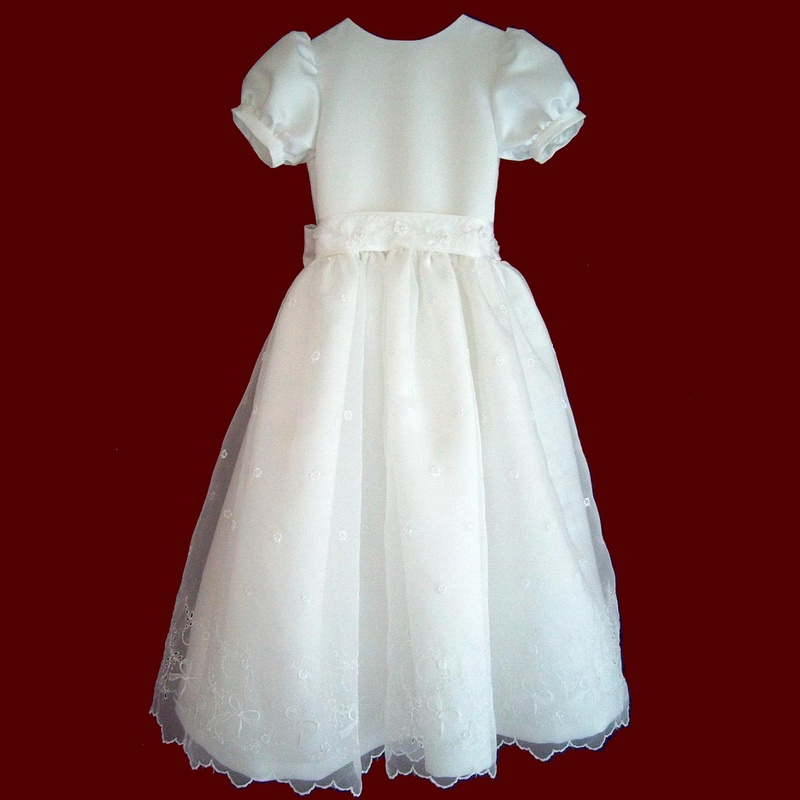 Beaded Embroidered Organza First Holy Communion Dress. Satin & Chiffon Halter Communion Dress With Jacket. 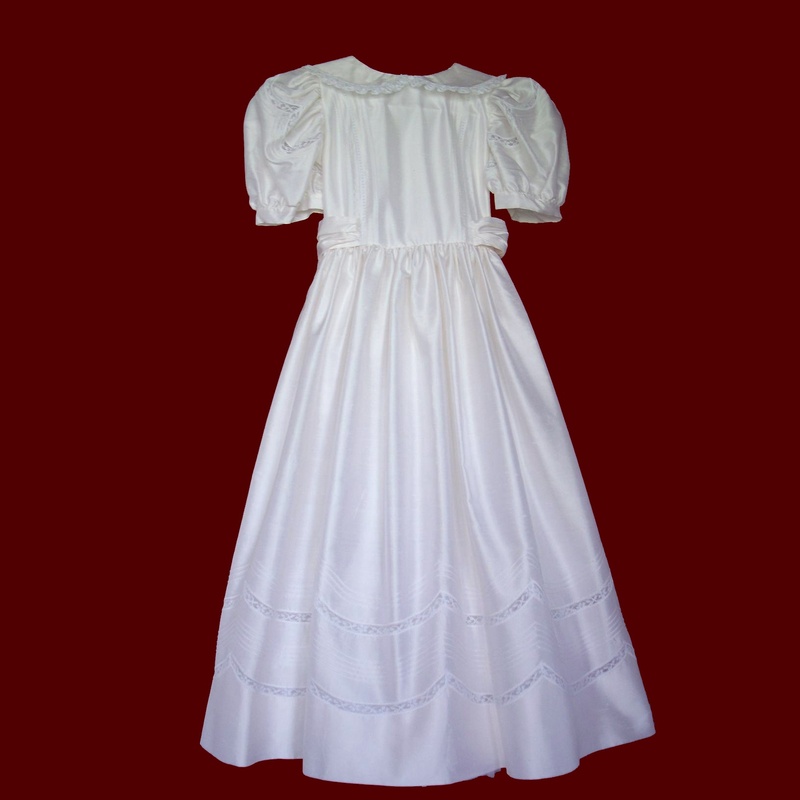 Linen Communion Dress With Optional Jacket. 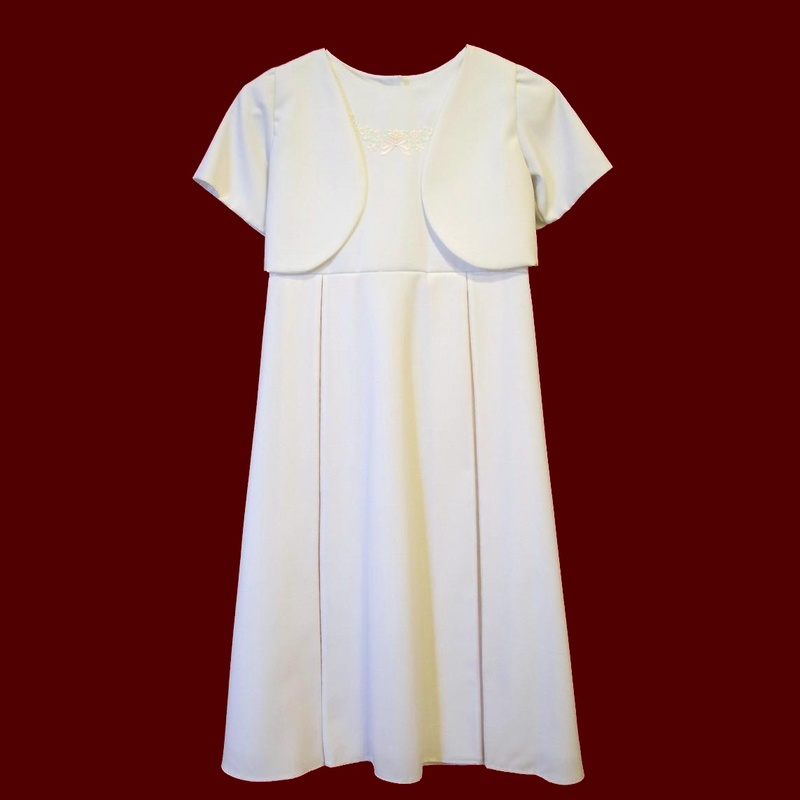 Shantung Sleeveless Communion Dress With Optional Jacket. 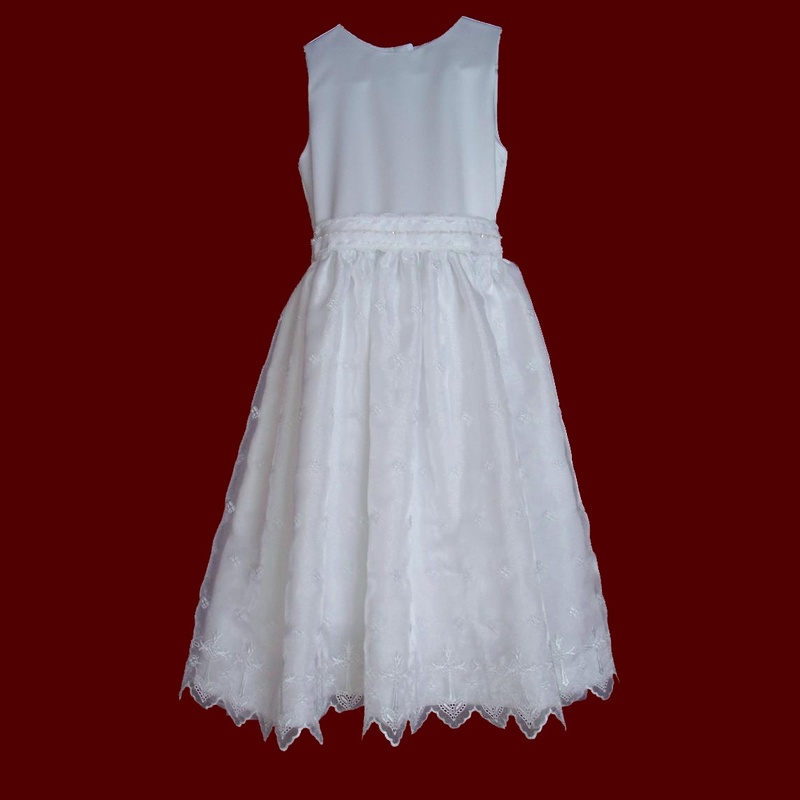 Sleeveless Organza Overlay Communion Dress. 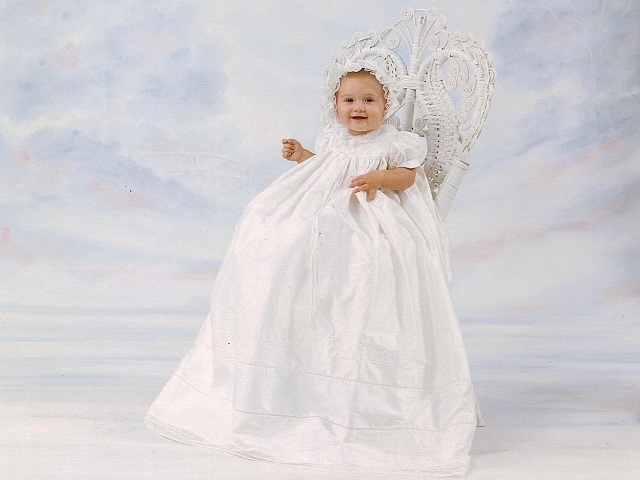 Duchess Satin Communion Dress With Beaded Appliques.